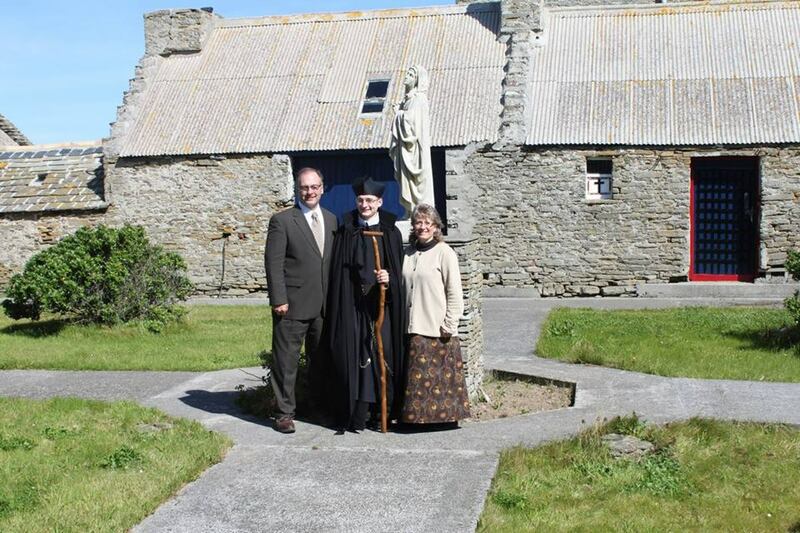 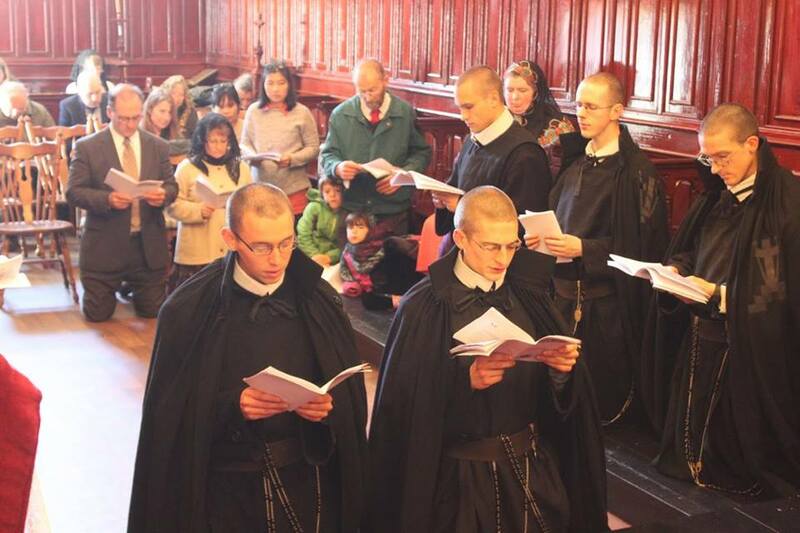 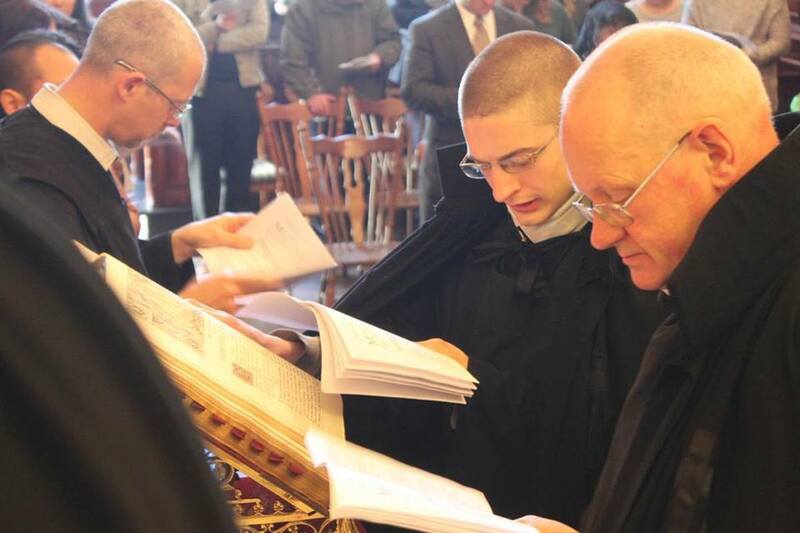 Two days ago, on the feast of the Assumption, two American members of the Sons of the Divine Redeemer, Brothers Peter Mary (on the left in the first photo) and Seelos Maria (on the right), made their perpetual profession of the vows of religion, Poverty, Chastity and Obedience, joining to it a fourth vow and oath of Perseverance in the Congregation until death, as has been done since the time of St Alphonsus. Our thanks to the order for their kind permission to reproduce these photos from their Facebook page, and our hearty congratulations to the newly professed, to their families, and to the whole congregation - ad multos annos! 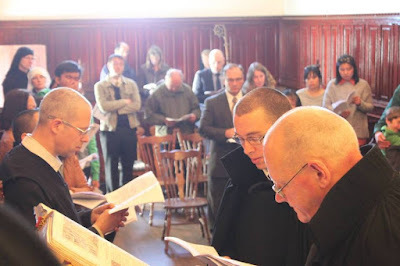 At the singing of the Veni Creator Spiritus. 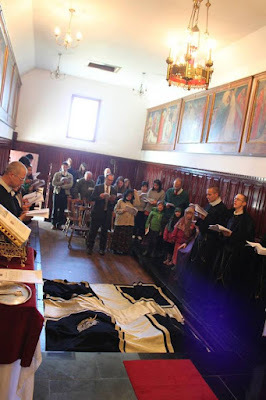 In many rites of profession, the religious not only prostrate themselves, but are covered as seen here, to symbolize that in taking on the burdens and responsibilities of religious life, one is dying and being buried to self in order to live in Christ. 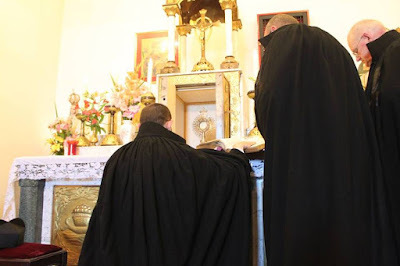 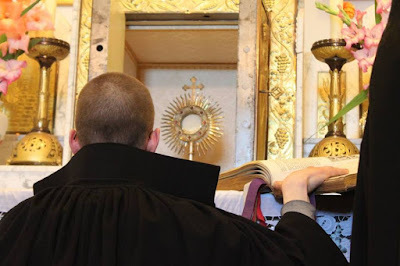 Br Peter Mary confirms his desire to consecrate himself entirely to God for the rest of his life before the superior of the congregation, Fr Michael Mary. 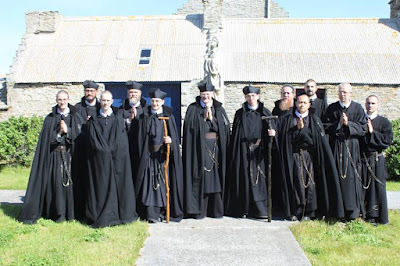 Likewise Br Seelos Maria, whose name in religion 'Seelos' comes from Blessed Francis Xavier Seelos, a German Redemptorist who died in 1867, and was beatified in 2000. Br Seelos' parents were able to come from the United States to be with their son.